You'd think the positive signs in a date would be obvious, but with all the excitement, the most important clues can be overlooked. What makes for a great date may not be all you need for a great relationship. This checklist of positive signs will help you evaluate your date in a realistic manner. 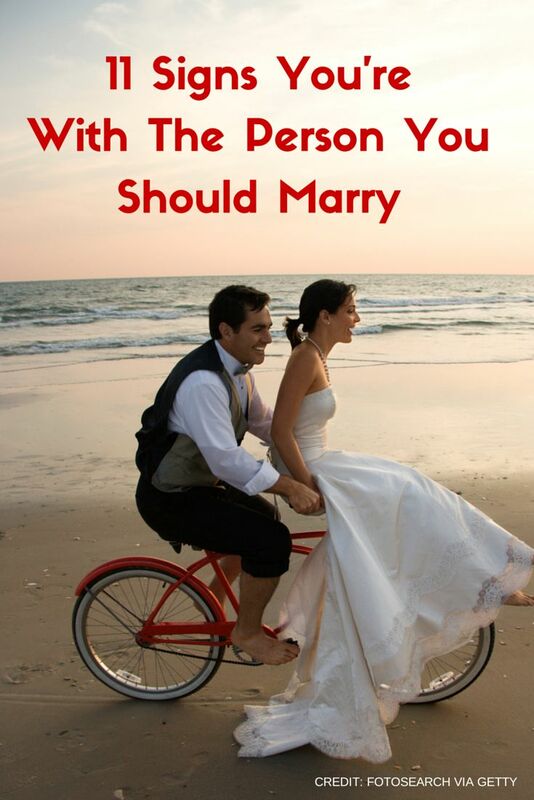 If you get a lot of these positives, this date might be a good choice for marriage. Of all the characteristics that are essential for getting through life successfully, a sense of humor has to be in the top ten. But what kind of a sense of humor? Joking at someone else's expense or at inappropriate times can be counter-productive. Using jokes to avoid taking responsibility for one's behavior can prevent you from solving problems. The sense of humor you're looking for is the generous, positive kind that makes life more fun and the tough times easier. If your date can make your laugh and lift your spirits, that talent may help you through some future difficulties. A date who asks for and listens to your opinions and feelings, and better yet, who remembers what you say and builds on it later, and who responds with empathy, sincerity and caring, is someone you can communicate with and therefore, more likely to be able to form a partnership with you. If you pay attention, you can quickly notice the difference between the appearance of caring and real caring. If your relationship is successful, you'll have years of talking to each other, so find someone who is interesting to talk to and also interested in talking with you. Your date should be able to carry on an interesting discussion on a variety of topics and at least show interest, even if the topic is not something he or she is familiar with. 5. He accepts who you are. A popular book asserts that "Men Are From Mars, And Women Are From Venus," but I think it's more that we're all from different planets. You and your date are unique, special and individual and need to be able to understand each other and accept that you'll perceive things very differently. Even when you and your date see things differently, you should be able to agree to disagree. Remember, the security and comfort in your relationship will come from where you and your partner are similar, and the excitement and growth in the relationship are generated from your differences. Different interests, opinions, attitudes and ideas will keep things fresh and alive between you. If your date does not become defensive or threatened by your differences, you can be interesting to each other for a long time. A date who has a full, interesting life you would want to be a part of is more likely to be a healthy, balanced person. While it's important to have some relaxation time and time to meditate or think, a life that includes a good career, hobbies or sports, community service and friends and/or family is reassurance that your date is motivated, focused and able to relate. Your date doesn't need to be a member of Mensa or a mathematical genius, but look for enough intelligence that you can respect and admire each other. There are several kinds of intelligence, from school learning to independent education by reading, working, traveling and life experiences. An airhead who looks good and may be fun to play with will not keep you interested for long. A date who is not interested in learning and growing intellectually may not be able to keep up over the long haul. As you learn about this new person you're dating, observe his or her character and personality for signs of a balanced sense of self. If your date can keep success and failure in perspective, admit personal shortcomings, and rise above disappointments and losses, he or she does have a balanced personality and the kind of resilience that can travel through life's highs and lows and keep it all in perspective. While it's fun and charming to be able to be childlike when in a playful mood, it's essential to be an adult whenever necessary. A date who is responsible, self-regulating, emotionally responsive, motivated, and in control of his or her impulses is capable of being a supportive, fully participating partner -- no matter what joys and sorrows, successes and failures you may face in the course of a lifetime.